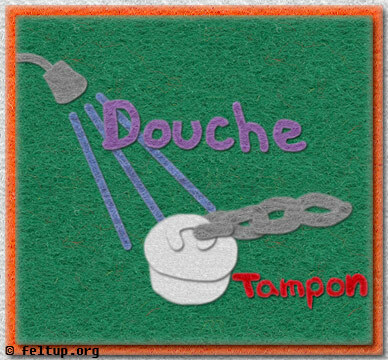 I've known for awhile that douche was the French word for shower, but only recently found out the etymology of the word tampon. Turns out it's also French for the word plug, usually referring to some sort of sink or tub stopper. So if you plan on taking a bath, you can use both your douche and your tampon!